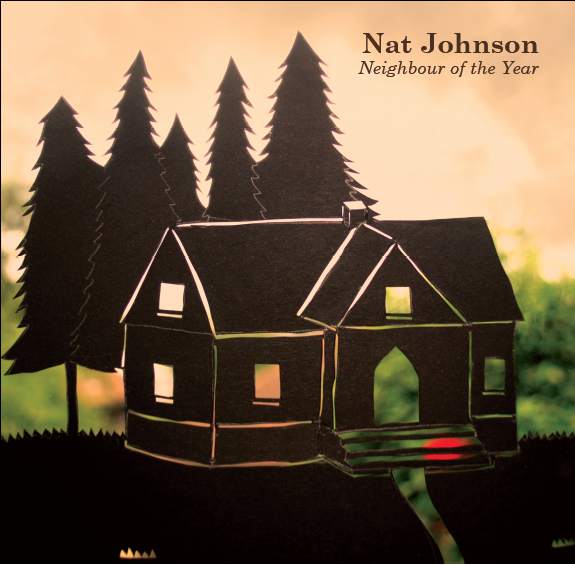 Striking out solo, Nat Johnson recently released Neighbour Of The Year, her debut seven-song collection. It's a beautifully haunting record that makes the most of her exquisite voice. It's taken a decade of fronting critically acclaimed Monkey Swallows The Universe and Nat Johnson And The Figureheads for Nat Johnson to finally release a record as herself. Opening track Not Now Horse sets the mood for the record. Violins and flutes envelop the listener in a dreamy musical cocoon, whilst a brass band kick in as the song progresses. Nat's vocals really come to the fore on the second track March March, it almost feels like it's dancing over the music before it closes with a twist as there are some clever subtle vocal effects applied to the outro as she tells the subject of the song that "I've got the money if you've got the answers". What stands out throughout the record is the intonation on Nat's voice and how versatile it can be in the context of understated musical backing. I've Been Shot is half-sung, half-spoken and it fits the mood that the instrumentation, shuffling and almost, but not quite incidental to her words, creates. There's some clever laying of two vocal strands on I Can't See You as well as Nat using her voice as an instrument to lift the song from a strummed acoustic guitar to something angelic and uplifting. The title track is more upbeat musically, but still retains the serene, fragile, delicate mood of the record, posing the question "do you get lonely, ever so lonely" to the subject of the song, the neighbour, to whose solitude she appears to have been inadvertently alerted to. Things get a bit more playful on previous single Dog, an ode to companionship, starting with "if I had a dog, I'd call him to me and we would forget about work and everything". The closing track Shelter is set to a simple, yet uncharacteristically forceful acoustic guitar and Nat whistling as she reflects on the love of another "you pull me off the floor and put me to bed." Neighbour Of The Year is a beautiful direct record, absolutely free of pretence and studio trickery. Its ultimate beauty is in its simplicity, which allows Nat's voice to take centre stage and weave her stories around the acoustic guitars that form the core of the instrumentation. Neighbour Of The Year is out now on 10" vinyl, CD and download. Nat Johnson's website can be found here. She is also on Facebook and Twitter.